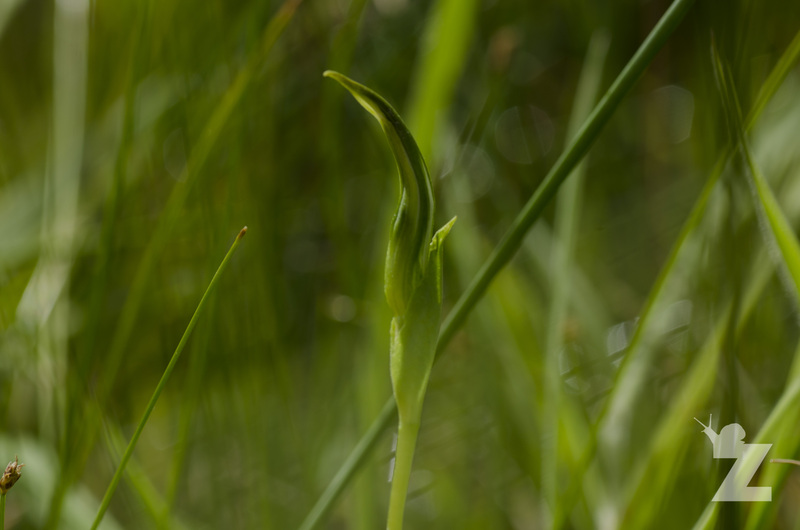 Working with greenhood orchids from the genus Pterostylis was an interesting experience for me. Most of my paid and voluntary encounters with wildlife have, historically, been with those of the animal kingdom. So, it was about time that I helped survey some of our greener kin. The Department of Conservation, Whanganui, had put out an email searching for help in an ongoing yearly survey. 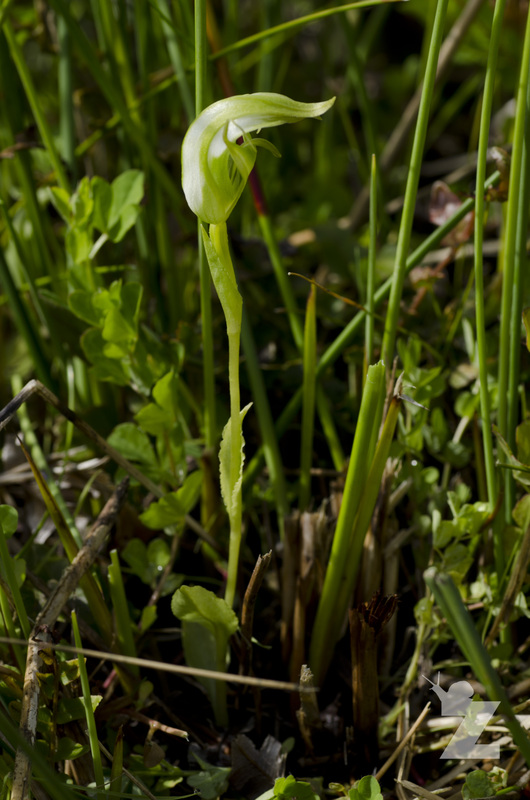 The survey involved counting greenhood orchids in three managed and three unmanaged plots. The plots were in a swamp and were comprised of 10x10m sections, then divided up into twenty 2m2 subplots. We were counting the number of rosettes, buds , flowers and seed heads across the six plots. The reason for this study is to discover whether managing land where these orchid occur has a positive or negative affect on their abundance. 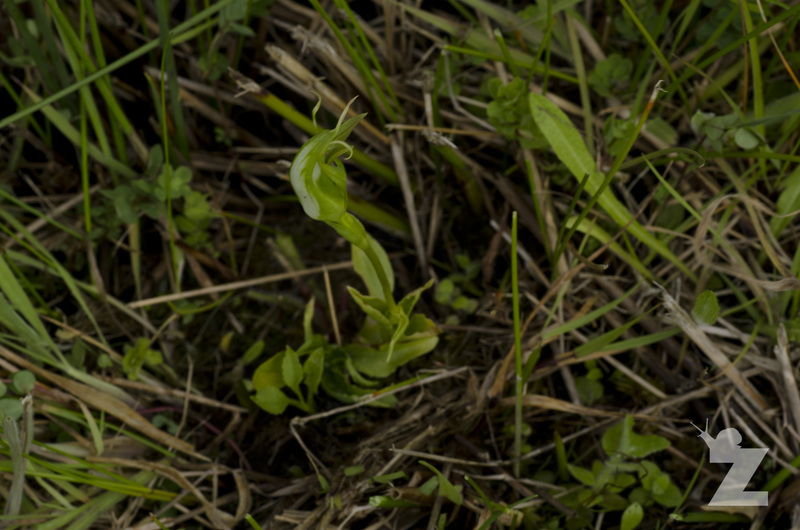 The survey took two days to complete and involved a lot of searching on our hands and knees in a peat bog for tiny, green, inconspicuous orchids that were often hidden beneath other vegetation. The three unmanaged plots had tall dense vegetation, which made searching every square inch particularly time consuming. The managed plots had been cut to a designated height earlier in the season. These plots were considerably easier going. Below you will see an image of a rosette (left of the centre) and a flower (centre) hidden among long grasses. After consulting the New Zealand Native Orchid group’s website, it seems there are quite a few species dotted about New Zealand. As to the species we were working with, I am not too sure which they were. The orchid family (Orchidaceae) is arguably the largest flowering plant family on earth (~30,000 species). Orchids are old, they began their development about 84 million years ago. Over this time, orchids have become extremely specialized organisms. It is specifically the orchid flower, rather than the foliage, that has developed in this specialised way. They are often named for their strangely shaped flowers. One petal of the flower often acts as a landing platform for insect pollinators, and a hood is sometime present to protect the flowers reproductive parts. They often die down and winter with an underground stem once they have flowered each year. Orchids are actually very primitive plants. Their vascular systems in their leaves are simple in comparison to modern plants which leads to unimpressive foliage. Their pollen is also simple – a fine dust, concentrated in pollinia. The pollen does not float freely through the air which means that orchids are entirely dependent on a pollinator. With millions of years of evolution these primitive flowering plants have evolved diverse, specialised and intriguing flowers which trick insects into transporting their pollen and cross fertilising other orchids of the same species. In New Zealand, there are over 160 different native orchid species. In the tropics, the flowers of orchids are big and vibrant. In New Zealand, however, their flowers are generally small and not brightly coloured. My advice to you is, get an identification book for orchids found in your area and learn where and when then flower. Then get out there and spot some of these bizarre and wonderful plants! If you would like to read about one of our British orchid adventures, check out our blog post: British Orchids in Bloom.